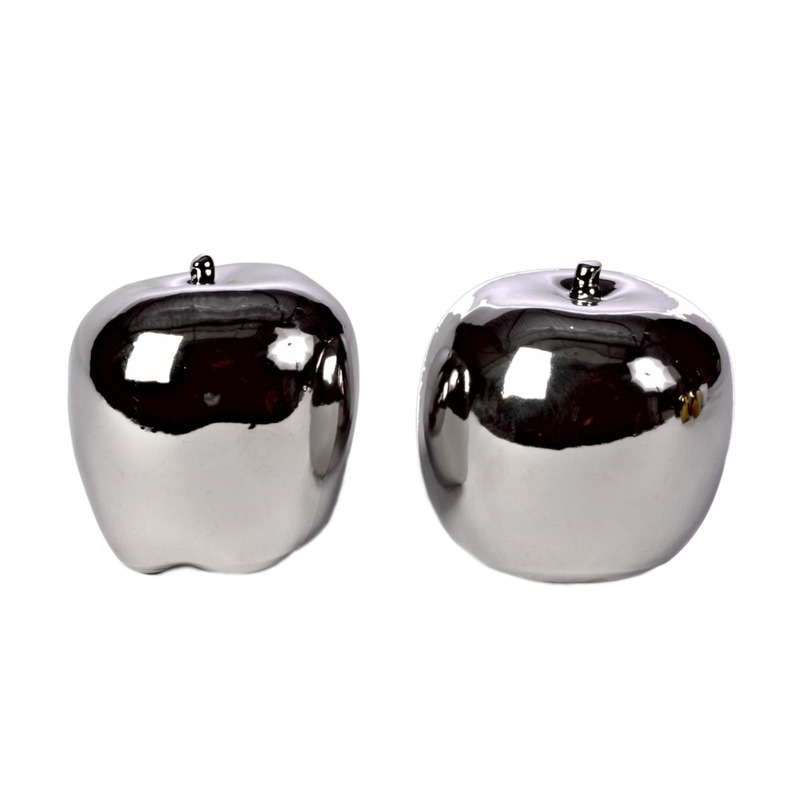 Make a statement with this Silver Apple Set by Pols Potten Studio. 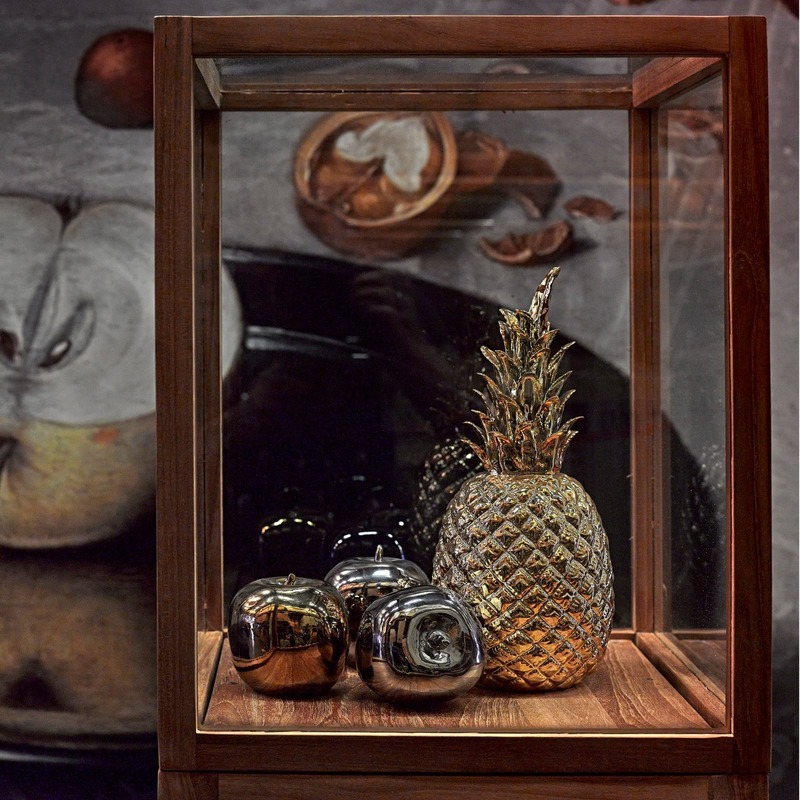 Beautifully crafted from silver colored glazed porcelain it is a fabulous decorative piece for any interior. 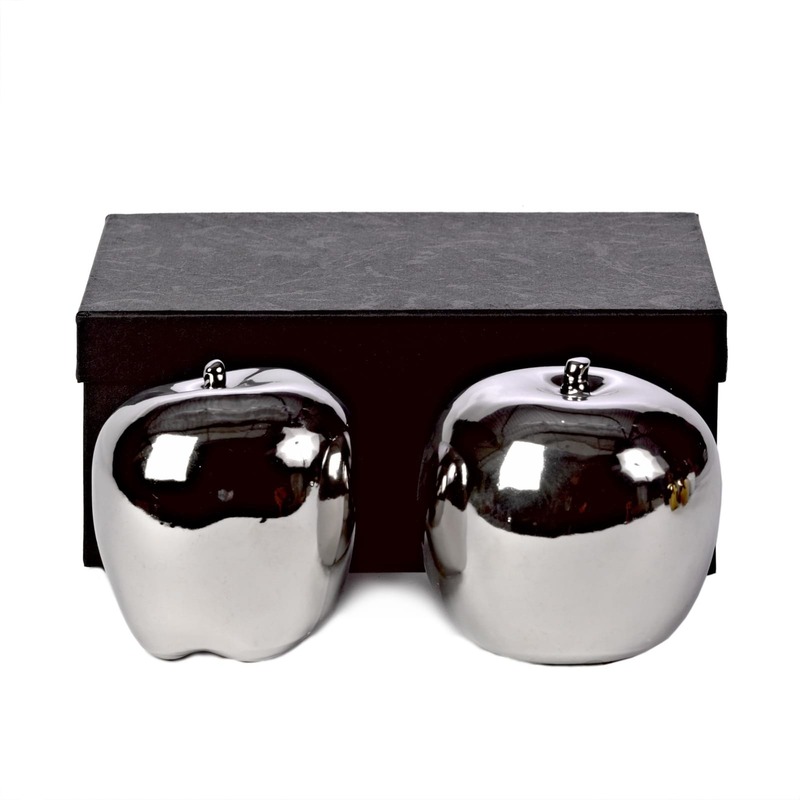 You can use the Pols Potten Silver Apples as a statement pieces, or ever better pair them with other quirky home accessories from Pols Potten to add a personal stamp on your home. Dimensions: Ø 8,5 x H 10 cm.